Dark Shadows Escape info about the game-Games2Rule. 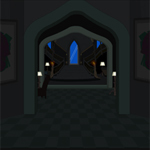 Dark Shadows Escape is type of point and click new escape game from games2rule.com. In this game a vampire was trapped inside in a dark shadows house. A witch was trapped him for not accepting her love. For more than 200 year he is in the dark house, help him to escape from the trap. Find useful hints and objects to escape from the dark shadows house. Have a fun play!